support for my cousin and his family anything you can donate would help. After many have asked how legit the page is I don't know how to verify the page I've tried. Matthew was my first cousin my name is Jaylan Gerald if you have any question or concerns you may contact me via Facebook and I will respond ASAP. Thank you all for what you've done in helping my family, we couldn't be more thankful. All proceeds are going directly to the family of Officer Gerald. Jaylan is currently my probationary firefighter and is working on ways to verify this gofundme as a legitimate campaign. Which is surprisingly difficult to do in this day and age of fake accounts. Your concerns about that this could be fake are reasonable, but in this case I can verify it is real. I hope this helps, Jaylan's heart is in the right place. 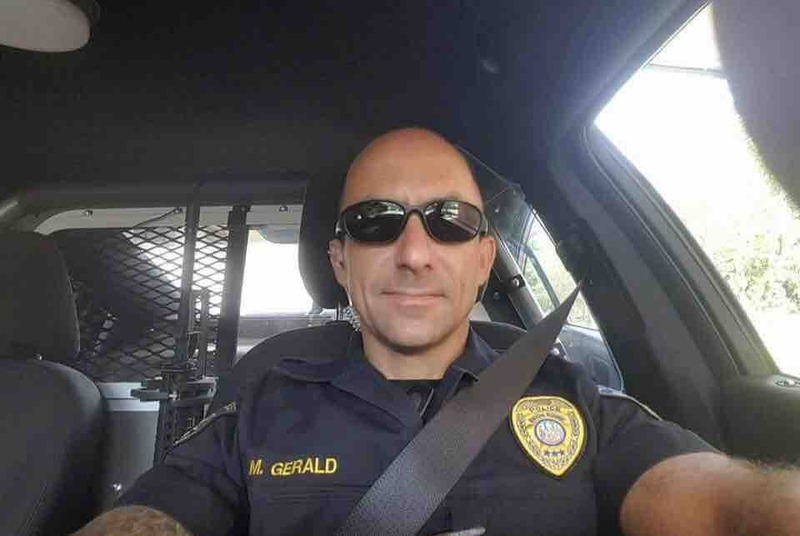 RIP Officer Gerald. Hi! I just donated to the other campaign setup by Nick Lambert, is that one legit? Just want to make sure! My daughter raised 1380 dollars from lemonade stand to be split between all three families you can expect it to be done wed when we go to the local tv sation that wants to film it. https://www.facebook.com/lovewithlemons/ is her facebook page that has videos from the event. God bless your family. Also, add some more personal information about Officer Gerald in the above narrative -- that too will help people. How many kids? How old? Etc. Perhaps put the link from the advocate in the above narrative. That will help people trust that you are who you say. I believe you -- the article will help as we assume reporters verify things. I want to donate but I first want to make sure the account that I am donating to will go straight to his wife & kids. Can you please post who is the legal name on the account that this money is going directly into. Your sacrifice will never be forgotten. You remain in our hearts, and the love we have for you will live on forever.